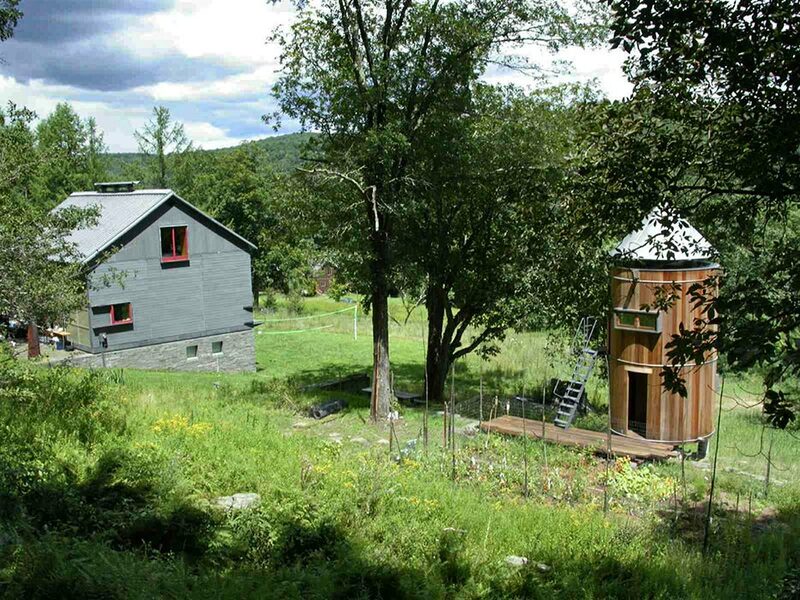 This bath house, an auxiliary building to the Delaware River House, responds to its agricultural origins by using the traditional cylindrical silo form. It is sited on axis with the main house (originally an 1840’s barn) and sits on the stone foundation of an old farm structure. 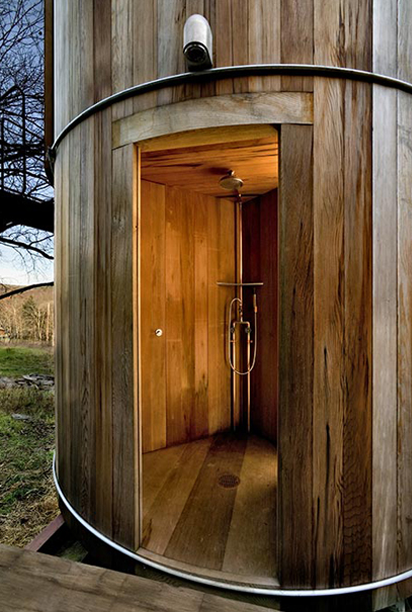 The bath house has a sauna, bathing area, and bathroom on the lower level and a studio/guest room on the upper level. 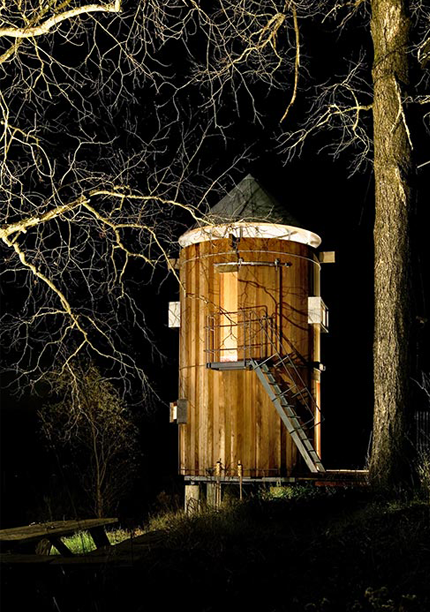 The structure is constructed from century-old redwood salvaged from the traditional roof top watertanks in NYC that silhouette the Manhattan skyline. 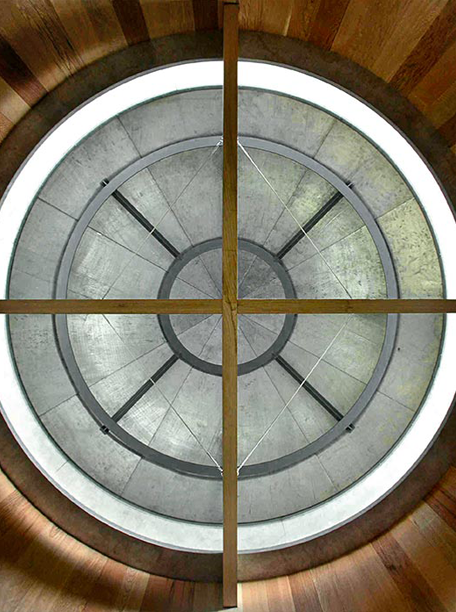 The conical roof is supported with a cable tensioned steel armature sitting on oak cross beams, elevated above the cylinder to create an uninterrupted curved glass clearstory. The bath house is heated with solar hot water.